Pollinator decline is an issue of global concern, with a wide range of potential impacts on biodiversity, human society and wellbeing. IUCN Red List assessments for vertebrate pollinator species (mostly birds and bats) find that 16.5% are threatened with global extinction. Wild plants that rely on pollination by vertebrates lose on average 63% of their fruit and/or seed production without pollinators, and this reliance is larger in the tropics. This project will quantify the importance of wild pollinators within a protected forest ecosystem in West Africa, from two perspectives – i) the importance of pollinators for supporting frugivorous or granivorous vertebrate species of conservation concern, such as chimpanzees, monkeys, elephants, duikers and birds; and ii) the value of the protected area in supporting pollination services to crops grown around it. The project focuses on the Sapo National Park (SNP), Liberia, in the Upper Guinean Forest biodiversity hotspot. Liberia houses 42% of the remaining forests across the region and the SNP is the country’s oldest and largest National Park. Fauna and Flora International (FFI) has an established research and teaching station there (The Sapo Conservation Centre), with a biodiversity monitoring programme and high-quality local botanical and zoological expertise. The student will conduct comprehensive meta-analysis of data on the diets of protected frugivorous/granivorous vertebrate species in the SNP, and conduct pollination ecology studies on the most important plant species, to characterise their dependence on pollinators. They will use a new pollination module in the Toolkit for Ecosystem Service Site-based Assessment (TESSA) to evaluate the pollination services provided by the protected area, in monetary terms. The student will receive advanced level training in pollination ecology, biodiversity monitoring techniques and data analysis, land use mapping using GIS, ecosystem service valuation methods and advanced statistical modelling, including meta-analysis. The ideal candidate will have a degree in biological or environmental sciences; experience of statistical, including spatial, data analysis (using GIS); experience of working in remote tropical environments; the ability to travel regularly to Africa; a keen interest in pollination and a passion for wildlife conservation. Potts, S.G., Imperatriz-Fonseca, V., Ngo, H.T., Aizen, M.A., Biesmeijer, J.C., Breeze, T.D., Dicks, L.V., Garibaldi, L.A., Hill, R., Settele, J., Vanbergen, A.J. (2016) Safeguarding pollinators and their values to human well-being. Nature 540, 220-229. Dicks, L.V., Viana, B., Bommarco, R., Brosi, B., Arizmendi, M.D.C., Cunningham, S.A., Galetto, L., Hill, R., Lopes, A.V., Pires, C., Taki, H., Potts, S.G. (2016) Ten policies for pollinators. Science 354, 975-976. Ratto, F., Simmons, B.I., Spake, R., Zamora-Gutierrez, V., MacDonald, M.A., Merriman, J.C., Tremlett, C.J., Poppy, G.M., Peh, K.S.H., Dicks, L.V. (2018) Global importance of vertebrate pollinators for plant reproductive success: a meta-analysis. Frontiers in Ecology and the Environment 16, 82-90. Boafo, Y., and M. M. Sani. (2011). 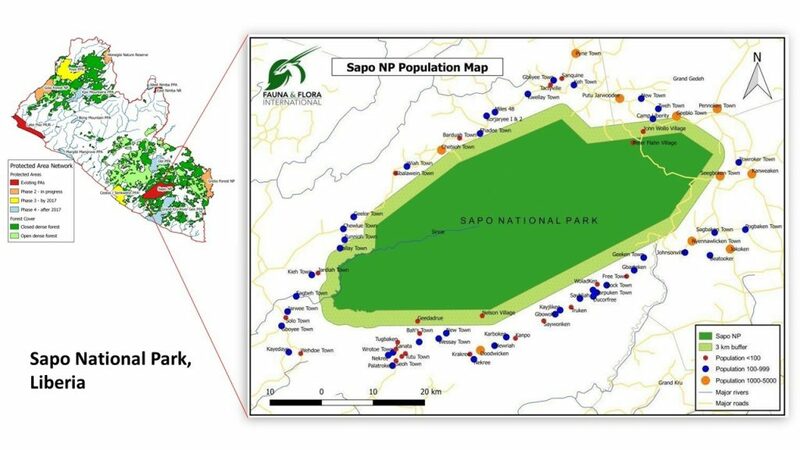 Status of the Sapo National Park Elephant Population and Implications for Conservation of Elephants in Liberia. Pachyderm, 0 (50): 18–25.